The colourful and iconic Maasai, a semi-nomadic tribe in East Africa, is threatened with extinction due to climate change. After many years of extended dry seasons exacerbated by climate change, an extensive and prolonged drought in this part of the world may see rich traditions in leadership, education and living with nature disappear. 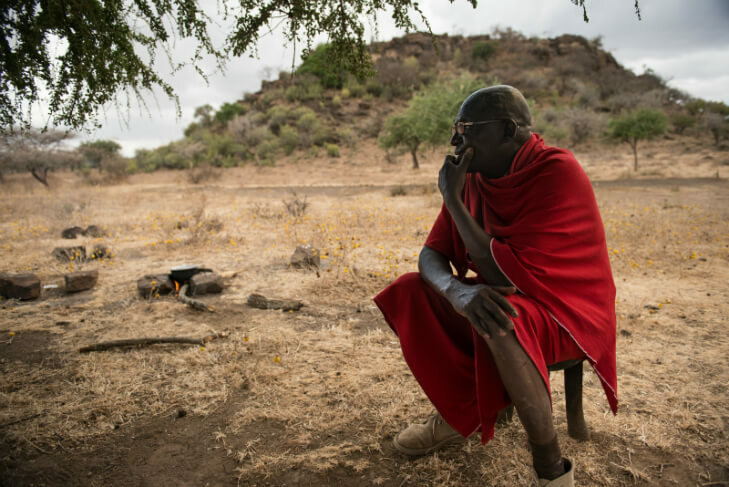 “The Maasai are a noble and dignified people who, despite the pressures of the modern world, have proudly maintained their traditional lifestyle and cultural identity.” says Maasai elder Ezekiel Ole Katato of Kajiado County, Kenya. 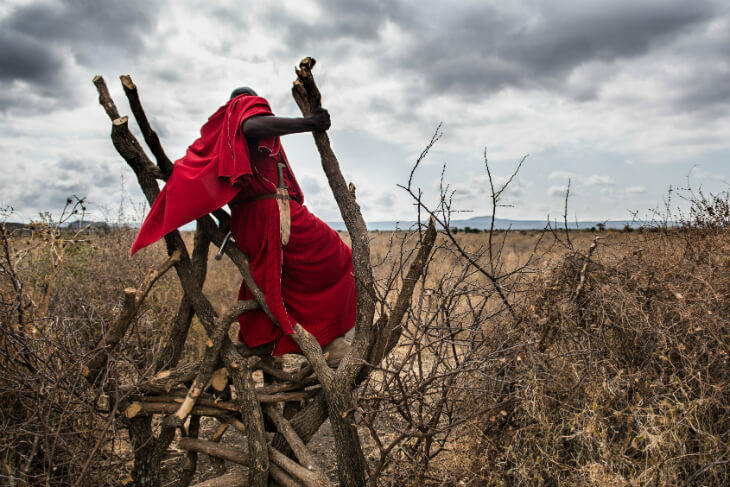 The Maasai culture and barter economy is built upon traditional pastoralism, and now the livestock which sustains their traditional way of life has begun dying off in alarming numbers. “Maasai have suffered a lot from the consequences of land grabbing by powerful bodies and companies for many decades already.” says Katato. “Now climate change and the continuous drought puts further pressure on our people. If there is no rain or aid in the coming weeks, the number of Maasai will decrease strongly. Our rich culture is threatened with extinction”. Rather than waiting for foreign aid, Katato has instigated a community-based drought management fund, as well as a crowdfunding appeal through Dutch platform Heroes & Friends. In consulting with elders and community members, they have identified their community’s immediate and long-term requirements to survive. Studies from other authoritative bodies like the United Nations highlight the vulnerable position of indigenous people like the Maasai. A 2008 Oxfam study has suggested that indigenous communities around the world could benefit from the Maasai in their valuable traditional survival skills. The 1 million Maasai live in South Kenya and Northern Tanzania. Because of their rich culture and iconic traditions, their jumping dances and red clothes, Maasai are very popular among the tourists in this part of the world.